For control of the pressure for ink transfer. To compensate for different thicknesses between the printing blanket and the printing plate. Underpacking Sheets are fitted in the gap between the blanket/plate and the blanket/plate cylinder. 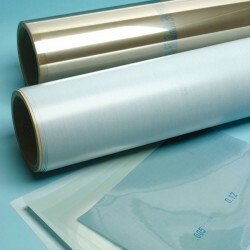 Self adhesive and non adhesive format for use on both offset and web presses. Non adhesive sheets are fitted with clipping bars on most Heidelberg and Komori presses or simply folded and held onto the cylinder. Plastic Underpackings There are 30 products.